Join in celebrating Scotland's greatest bard...and support our children. Gentlemen, be upstanding and toast your lovely ladies “ was the finale of an amusing offering by a Rob Hutton which was ably countered by Lila Wells at the Burns Night event January 25th, the Scottish poet’s birthday . 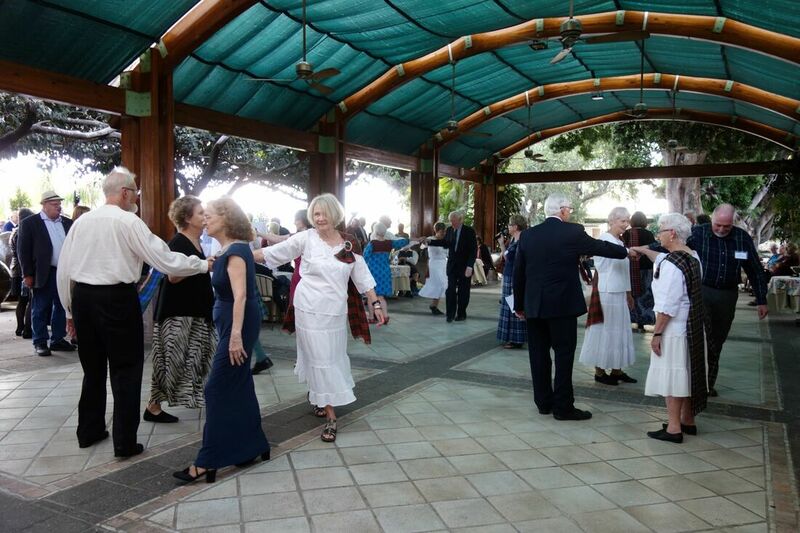 This was the 14th annual celebration at Lakeside, the 9th as a fundraiser for Niños Incapacitados. It featured the Ajijic Scottish Country dancers, the skirl of the pipes, the traditional Address to the Haggis by Rita Phillips, a delicious dinner with a wee dram and shortbread, culminating by the sell out crowd joining in familiar Scottish songs.